This pub was editorially chosen for inclusion by Londonist. A far larger pub than it appears from its little frontage, the Camel & Artichoke has existed at this spot in some form or other for over 200 years. 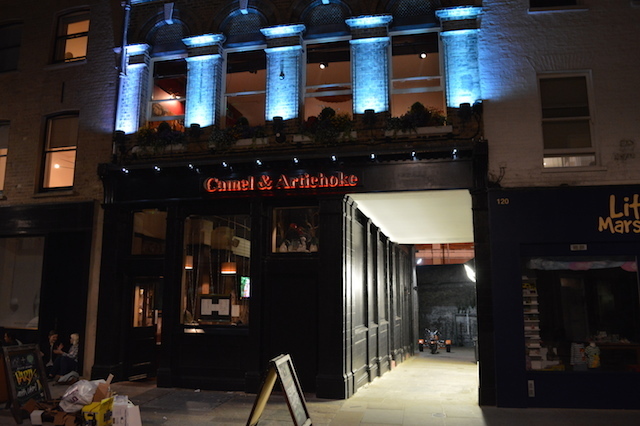 Its name is partly taken from an old route for artichokes through London some time ago, and camels. There are no camels on the relatively spartan food menu, so in all honesty we're not sure where that comes from. Mind you there are no artichokes on the menu either. Something's not quite right about all this. 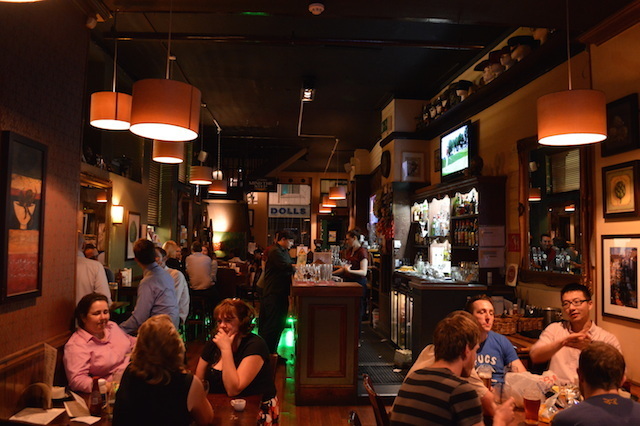 In addition to the main downstairs bar there's an extra seating area upstairs. There's also the pleasant rear beer garden which is this pub's most endearing feature and was packed to the brim on a balmy Thursday night. Various screens for live sport can be found, though every time we looked at them every screen featured Rory McIlroy. Which was a bit strange, as the cricket was on. 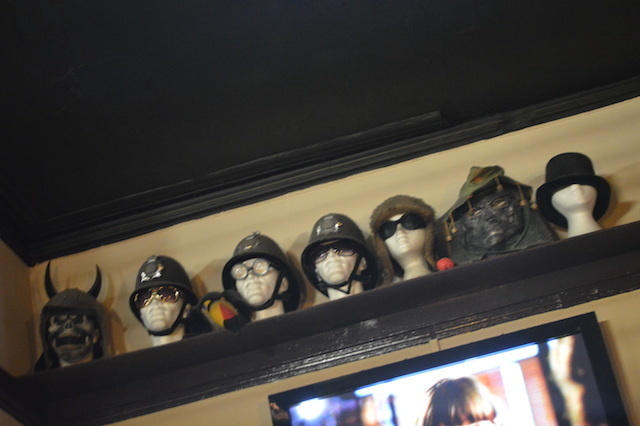 A number of behatted mannequin heads stare grimly down from a shelf above the bar. There were a handful of ales at average prices, and though only one was actually on at the time there seemed to be movement to make two more 'live' and that's usually a good sign. There may be some interest among the hardier elbow-lifter in the offer of ten pence extra to make your shot a double, noddingly confirmed by the barman to a pair of incredulous Americans who couldn't get enough of an offer like that, as if it substantiated their very best and worst fears about the British art of drinking.